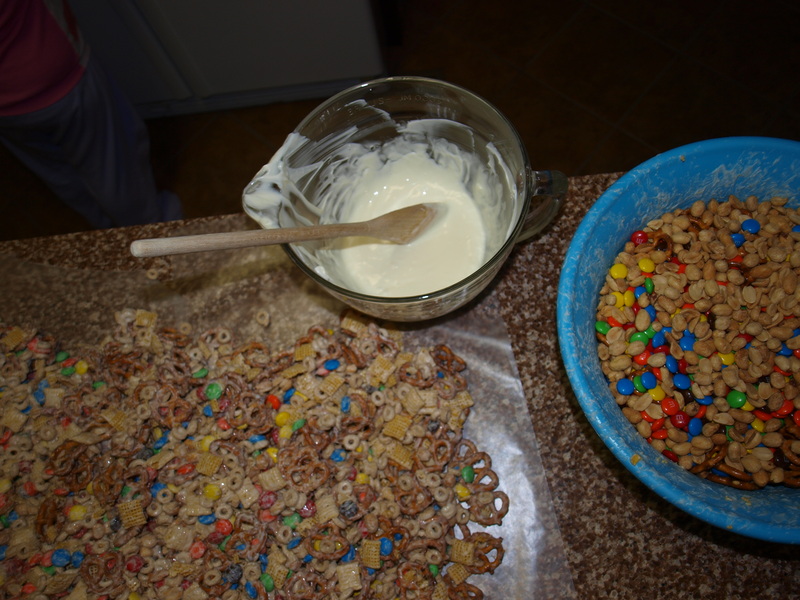 So here is the recipe follow along with the pics too! 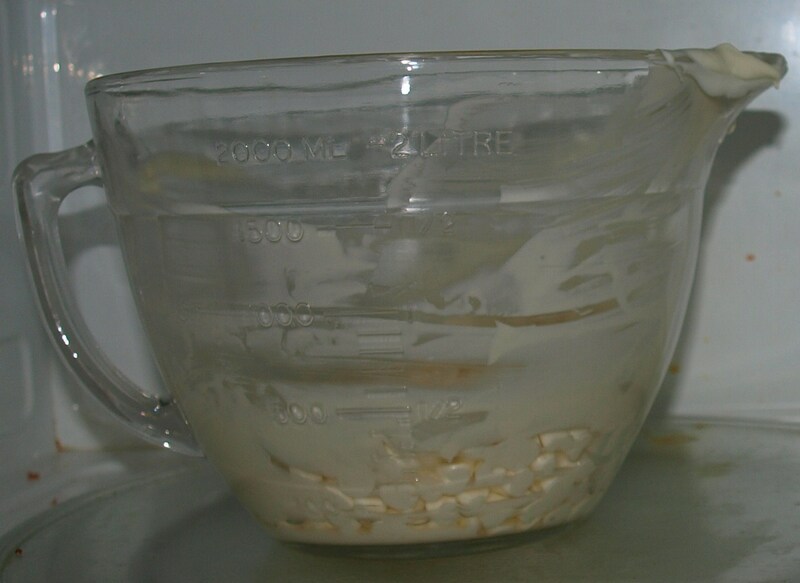 Mix together all the Dry ingredients and set aside; then put the chips and oil into a microwave safe glass bowl I love the Pyrex large measuring bowl. Put in microwave on high for one minute; stir; then another minute and stir if this doesn’t melt them all you can heat for 30 more seconds at a time until done ( 3 minutes max or it could burn). The bowl WILL BE HOT! BE CAREFUL! Pour over mixture and blend until all the dry ingredients are covered. 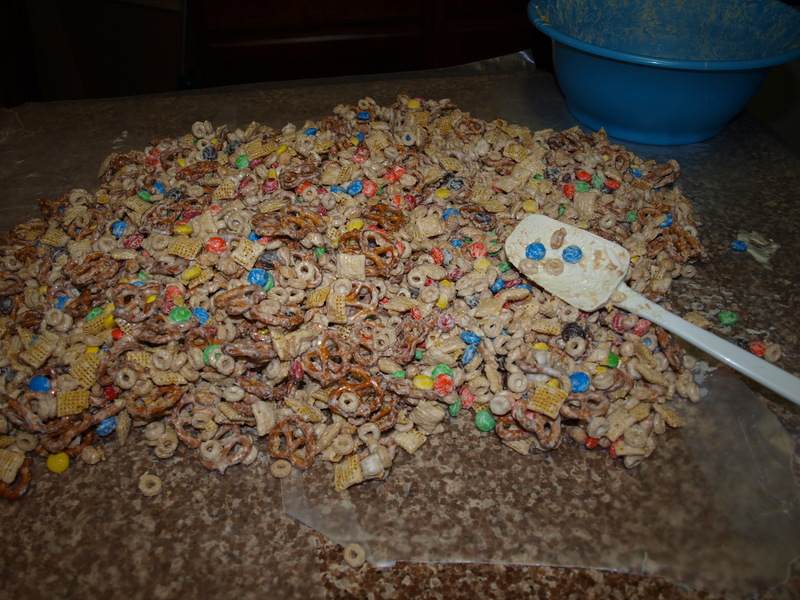 Then spread out over wax paper to dry make sure you have a large spot to spread the love. Once it is all dry break apart and put into an air tight container or if you are giving it away I have put it in those ziplock containers with the red lids. I have put it in zip lock baggies and this year I found these bags from Oriental Trading Company and used them. 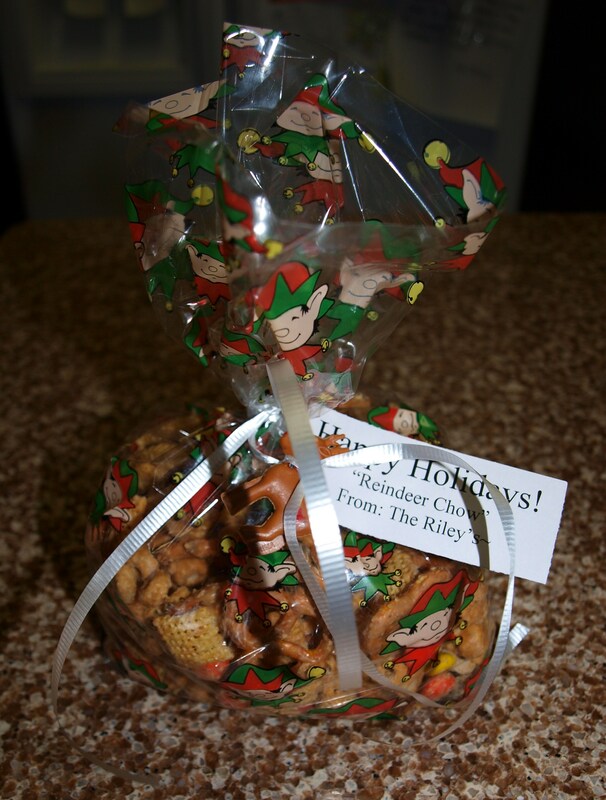 I added a tiny reindeer and a tag! The finished product but in peanut butter! 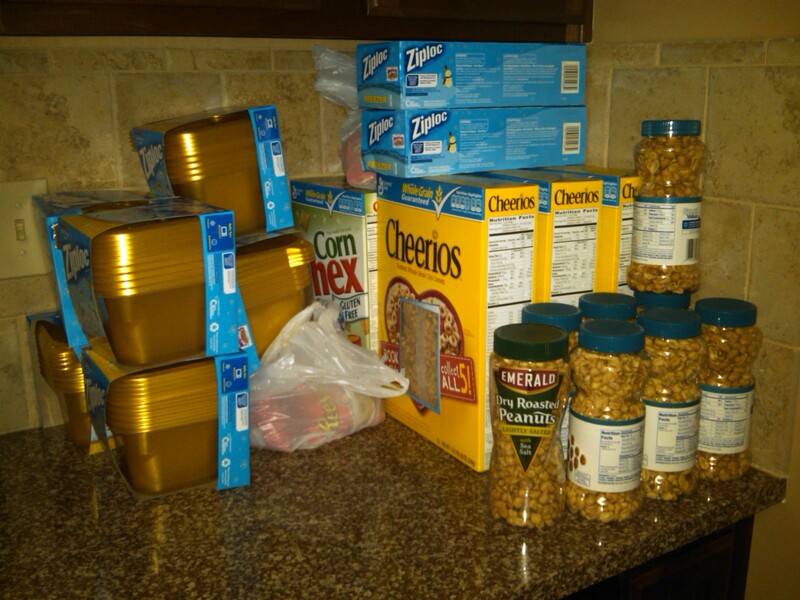 This year I got better containers than the bags above – they better appreciate it LOL! For the peanut butter version replace the white chocolate chips with peanut butter chips and the M&M’s with Reeces Pieces. I have a lot of friends who like this one better. I tried butterscotch once and it was waaay to rich! This entry was posted in Recipes - I'll show you mine if you show me yours and tagged CHRISTMAS, CO-WORKERS, PEANUT BUTTER, REINDEER CHOW, WHITE CHOCOLATE. Bookmark the permalink. Hello Heather What can I help you with?